Are you looking for a quality fence company that will help take care of your dogs space? Our dogs are important to us. Let's build them a place to run and play. 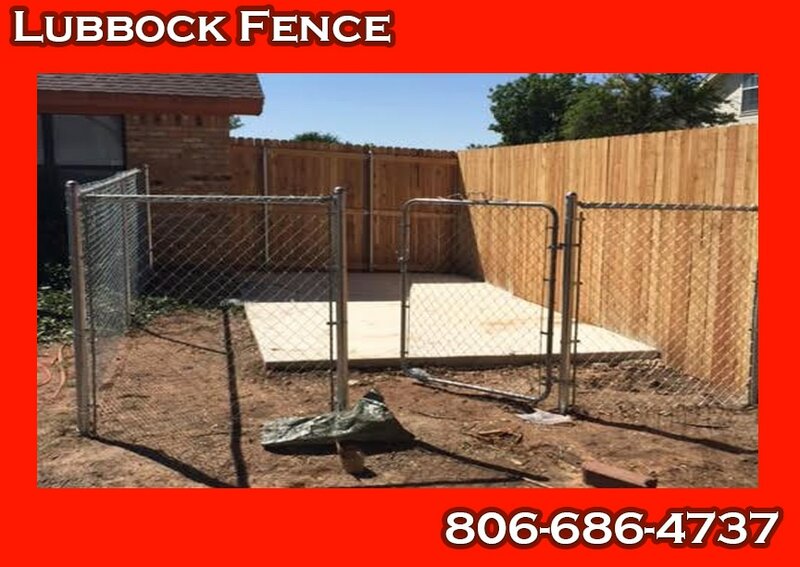 Call Lubbock Fence at 806-686-4737 to let us help you take care of your dog. Your dogs should deserve a protective place to run and play while their masters are away. Let us build you your personal dog kennel for your home. We can work with almost any size of yard, to build you your perfect dog pen. Let us build you your outdoor dog kennel today. You should rest easy while you are away at work or out of town knowing that your pets are home and safe. That's why at Lubbock Fence we will come build you your own personal dog run fence for your home. We will come build you your dog kennel and run for you. You can dream it we can build it. Rest easy knowing that your dogs are safe in their dog enclosures.